Having recently started studying a new opening, I think it's worth spending some time looking at what factors go into selecting and then learning openings. I discuss the evolution of an openings repertoire for experienced players in a companion post, which I think is a rather different animal than the process faced in choosing one's initial opening weapons, so it deserves its own discussion. Here I'd like to focus on the first steps faced by all of us as players, partly to provide a background on my own choices and also to help set the scene for how this affects opening system choices later on in our chess careers. Although it's somewhat arbitrary, I'll define the initial process of openings selection as lasting until a player settles on the major system(s) as White for the first move, along with Black defenses to 1. e4 and 1. d4, that they will have in their permanent career repertoire. The above definition I think is generally a practical one, since it covers the essential decisions and challenges that every tournament-level player must face on a regular basis in the opening phase of the game. For me, this initial process lasted around a year. When first learning chess in a systematic way, I tried out a number of different openings in informal games. In general, this is a great way to gain practical experience with the different systems' ideas and key positions, while also developing a gut feeling about which openings best suit you as a player. Now that good chess software is easily found, it is easy to test drive different openings with a willing silicon opponent, although I think the feedback you can get from a human opponent is very worthwhile, as long as you take their own biases into account. With the internet, it's also easy to find basic surveys of the various openings, to know what to try out. However, I think there's still something to be said for owning a comprehensive reference such as Modern Chess Openings (MCO) in order to be able to know what is out there and see the basic descriptions for all of the different openings, along with suggested variations. As Black, I looked at a range of possibilities, especially for defenses to 1. e4. Informally, I played the Sicilian Najdorf, Alekhine, Closed Ruy Lopez, and French a great deal. After some time, however, I gravitated towards the Caro-Kann, after having a serious go at the French. It seemed to be similarly solid but without the drawbacks of the shut-in light-squared bishop and occasionally bare kingside. As far as defenses to 1. d4 went, although I dabbled some with the King's Indian, I settled on the Slav as another solid choice. Although the b7-c6-d5 pawn chain is a shared feature with the Caro-Kann, the positions arising from the two openings really aren't very similar, so the pairing doesn't save you much study time, unlike what you can achieve by playing the Modern (1..g6) or other very flexible openings that can be used against both 1. e4 and 1. d4. As a small bonus, however, the openings selection did mean that I never had to fear the Blackmar-Diemer Gambit (1. d4 d5 2. e4) since I could just transpose to a Caro-Kann with 2..c6. While my openings selection as Black held up to the test of tournament play during my first year, I wasn't nearly as satisfied with my results with 1. e4. Essentially, I had discovered as Black that I played best and was most comfortable in semi-open positions. While the variations I had chosen as White also largely reflected this, I felt that I did not grasp their ideas at a fundamental level, plus my opponents were all obviously well-prepared (or at least better prepared) to meet 1. e4 as the most common opening choice. At this point I discovered IM Nigel Povah's How to Play the English Opening - a 119-page book published in 1983 - and decided to try it out. The opening concepts were explained in detail (or as much as a short book could contain), complete games were provided and the positions were new and interesting to me. I chose variations that I liked and after a few months of preparation permanently switched to 1. c4 as White. There's a good deal of free advice out there on what openings are "best" to play, but I think it really boils down to whatever works for you as a player. 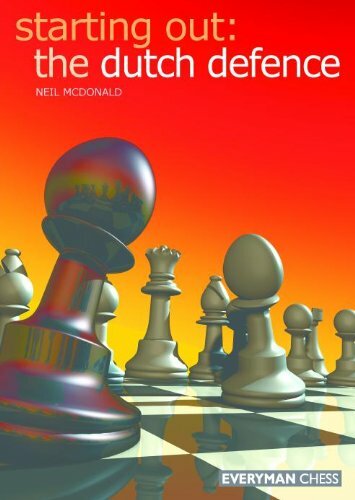 (I have a similar view of approaches to chess training in general.) There is both a practical and an aesthetic dimension to this. The first one is easy to understand - if you regularly end up in losing or inferior positions out of the opening against players of comparable strength, then your openings are not doing the job of keeping you alive on the chessboard. Regarding aesthetics, if you don't have a genuine liking of the opening positions, or find your openings dull or incomprehensible, regardless of your results with them, they probably won't be a good permanent match for you. Finally, let's not forget that last part about fun, because unless you're a chess professional, fun has to be a component of the chess experience, otherwise it's just work. Chess improvement by definition requires work, but it should be the kind that leaves you with a smile at the end of it. This game was the next tournament game I played after Annotated Game #10: Upset, taking place during the first round of a weekend tournament the following month. In this case, the rating difference (over 500 points) was even higher, with me being a Class C and my opponent an Expert, the first I had ever played. I had some momentum still going after my previous win, even a month later, and I was able to achieve a superior position, although settled for a draw. One of the reasons I chose to examine this game, as was the case with Annotated Game #3, was to take another look at the final position and see whether taking a draw was a mistake. At the time, I thought I objectively should have been able to win the game, but doubted my ability to bring the full point home. My opponent chose the Exchange variation of the Caro-Kann, which all the opening books say is harmless for Black. This assessment jibes with my own limited experience; I've played two tournament games in the variation, winning my first one against an opponent rated almost 200 points higher and then drawing this game. Basically, it causes Black no real problems and there is nothing very complex about it, so while it gives White a decent game, opportunities to pressure Black are much reduced compared to other variations. The variation was touted for a short while in the Fischer era and then essentially disappeared from Grandmaster-level play. I think there's still a bit of mystique at the club level as a result of Fischer's recommendation. It's certainly a safe choice against the Caro-Kann, especially if someone doesn't expect to face it much and doesn't want to spend a lot of time studying a more complex variation that has better prospects of yielding an advantage. In the game, my opponent was even less ambitious than is normally the case in the variation, playing 7. Ne2 instead of the critical 7. Qb3 line. By move 10, Black has fully equalized and then pursues a strategy of trading down, successfully removing from the board two pairs of minor pieces in short order. White suddenly decides not to accept his drawish fate and launches a kingside attack with 16. f4, seeking to create something out of nothing. He misses that Black's queen can sally forth to grab the f-pawn, the result of a neat in-between move, and then safely move out of danger. Black then concentrates on shutting down any possible White attack on the kingside, playing remarkably accurately; I chalk that up to having a good day and also having a simple enough position where I was confident in its soundness. On move 35, just as I was activating my kingside pawn majority, my opponent offered a draw. After some thought, I accepted it, although I partially regretted it at the time. Looking at it now, however, it wasn't a bad choice. The double rook and knight endgame would have been very difficult to win and Houdini gives an evaluation in the final position of Black having less than a 4/10 pawn advantage, despite being a full pawn ahead. This and the previous game taught me not to fear Class A and Expert level players, which for a Class C player is a very valuable lesson. I've subsequently always played much better when focusing on honing my own performance in a game, rather than worrying about my opponent's skill level, although I admit I haven't always succeeded at that in the past. In any case, this was another watershed game for me. This is my greatest tournament game upset. At the time, I was a Class C player and my opponent was a strong Class A player rated 400 points above me. He was also the tournament organizer, which perhaps added some insult to injury for him. In the tournament itself, a four-round weekend Swiss, I had dropped the first two games as Black but won my third as White, thereby drawing a last-round White pairing. This tournament marked the beginning of a sustained rise in my over-the-board performance, which lasted until I went to university and stopped playing competitively. No doubt in part due to the ratings gap, I recall that my strategy was to simplify down and keep a drawish position. My playing style then (as it more or less is today) was to aim for a solid game and then let my opponent make the first mistake. The English opening is well suited to this as White, since there are usually no targets for Black to attack early on. My opponent surprisingly chose the Symmetrical variation, which is by nature more drawish. Perhaps he assumed (rightly) that I had less experience with it, but the ideas are not hard to grasp and if White is not looking to push for an edge (for example as could have been done by playing 7. d4) then Black cannot easily complicate matters. In the game, I succeeded in exchanging off a pair of minor pieces early on, although could have more profitably focused on additional development. In my assessment Black was overly aggressive with his h5-h4 push, as White could just as easily switch his own forces to the h-file after the g-pawn is exchanged; I'm sure the ratings difference helped dictate my opponent's choice of strategy. Black set a trap on move 14 by exchanging his g7 bishop for my c3 knight and leaving the e7 pawn unguarded, which however I avoided. I was positionally better but should then have refrained from executing my own bishop-for-knight swap, which would have allowed Black an attacking advantage had he recaptured with the queen on the long diagonal. Black then attempted to force the issue on the h-file, leading to a successful counterattack by White. My attitudes have shifted to the point where I no longer wish to take rating differences (either way) into consideration during play. I find that I enjoy the games more that way, feel much less pressure, and usually play better chess. However, I will say that an upset win like this never loses its satisfaction. In response to a comment from laramonet, here is a description of what could in nice terms be described as a simple and straightforward system designed to store an openings repertoire in a database. (In not so nice terms, I suppose it could be labeled crude and unsophisticated). I started my personal openings database quite a while ago, so while I'm sure I could redo the whole thing now in a more sleek and powerful manner, it's not really worth the time investment, since it works just fine for my needs. The desired objective is to keep a single database (I simply call it "ChessAdmin opening book") containing all of the variations that I consider significant and noteworthy in the openings I use. My basic criteria for inclusion is that there should be at least a decent chance of facing the line in a tournament game someday, with the corollary that the variation itself is complex or important enough that I need to document and (theoretically) remember it. For example, I don't have anything in the database for Black defenses against 1. b4 (Sokolsky), 1. g4 (Grob's Attack), etc. However, the database is always a living document and I regularly update and refine it based on my ongoing practice and study. For example, I've started to recently encounter a Queen's Gambit Declined setup more often against the English, so have added that to the openings book database. If in the future I encountered a Grob's player on a regular basis, I'm sure I'd add something on that as well. In this case, in the game data "White" is "Caro-Kann" and then "Black" is however I choose to name the particular variation. This allows for easy sorting of the lines by title in the database. For each of the games, I manually entered the main line of each variation and then selected sub-variations as I desired. Naturally, some "games" are much more complex than others (like the Caro-Kann Classical), which others are simpler (like the 2. c4 variation) being shorter and with fewer sub-variations. For my side of the opening in question, I treat it as a repertoire, only giving one preferred line against the opponent in the vast majority of cases. The idea is not to have a comprehensive openings database, but rather my personal repertoire which I should study in order to prepare for a tournament or other serious play. I prefer to have the lines named and organized in the above way in the database, as it parallels how openings book authors typically organize chapters. I can then easily look up a particular major variation in the games list of the database. Conceptually and practically for me it is cleaner than trying to put everything into just a few or even one massive database game. Where one draws the line is probably a matter of personal taste, although using a "chapter" analogy is probably a good guide. For example, I decided to have two Main Line "game" variations (also happening to parallel the framework in Starting Out: The Caro-Kann) largely because they are so different from each other and the large number of branching variations made putting the two in a single database game unwieldy. One thing that I think is very helpful about a database structure is being able to easily include variations and sub-variations that aren't main line or are never used at the professional level, but can be dangerous or annoying if you aren't aware of them. Your future opponent likely doesn't know or doesn't care if GMs play the line or not, so if something looks obvious they may just go ahead and play it. There are a fair number of these types of moves that may even be refuted by a particular sequence, which makes it worth documenting rather than just trusting myself that I can work it out over-the-board. I will also use game annotations to leave myself notes, for example when my side has a common plan in response to whatever the opponent does, rather than including all of the possible choices. With my opening book organized per above, it's easy to immediately link from a particular position to the main database in order to look up full games and then load those separately, perform statistical operations based on the position, etc. With the above setup, I'd hesitate to merge complete games into the base "game" variation, but I've considered setting up a different "examples" database to break out those key games that are worth referring to repeatedly. This tournament game features an intriguing sideline of the Caro-Kann Classical variation with 5. Nc5. On the face of it, it looks aggressive, but if Black keeps his cool and White plays only standard-type moves, Black ends up in a favorable version of his usual setup, as occurred in this game. White can test Black in the variation I used with 5..Qb6 if he plays 6. g4 as a follow up, similar to the idea that occurs in the Caro-Kann Advance after Black develops his bishop to f5. In large part due to a prominent loss by Beliavsky to Bronstein in 1975, the Qb6 variation isn't a popular response to 5. Nc5. However, Kasparov (yes, that one) and Shakarov in their 1984 book Classical Caro-Kann: 4...Bf5 recommended it; more recently, Houdini slightly prefers Black as well in the 6. g4 line. In the below game, White plays the more normal-looking 6. Nf3 and Black then forces the c5 knight back as part of his usual developing sequence. By move 12, Black has a comfortable game with opposite-side castling, which gives him the easily understood strategic goal of advancing his pawns and pressuring White on the queenside, which White cannot ignore with his king there. The middlegame instructively points out how my positional play was weak as I exchanged down (and offered to once again) an effective attacking piece for a less effective equivalent. After going a bit astray with the attack, Black spots a deflection tactic on move 26 and emerges with a pawn and a won endgame. The endgame itself is also instructive, as White could most likely have held with a more active defense, piece activity being the key in these types of positions (in this case R+N vs. R+N). White's king was also shut out of the action on the queenside once the theater of war shifted back to the kingside. Since this game, due to my studies I believe my attacking play has improved (although it still has a long way to go) as well as my understanding of the role of piece exchanges in the middlegame. Among other things, this game reinforces the lesson that simplification on the board can lead to a dissipation of an advantage or even a loss. I was also pleased at being able to see the key tactical motif on move 26, along with the necessary in-between move. This was relatively simple, but also illustrative of the role that experience with the opening and resulting middlegame played, since I was comfortable and familiar with Black's play in that position. As a follow-up to the post on chess software and by popular demand, here's how to use Aquarium 2011 in order to publish a game on a blog. An example of the results can be seen here. Warning: not a user-friendly process. 1. Update Aquarium. Get the latest Aquarium 2011 update from ChessOK. The original forum post describing this is here. Once installed, your web publishing options will now be correctly shown and enabled. 2. Set up your blog style sheets. Once you've loaded a game in Aquarium (any game will do), on the Publish tab select the Web Export - iBook HTML for Blog option. (It doesn't matter if you actually want to publish in the iBook format or not.) The program will bring up a new window with style sheet code at the top and the iBook code at the bottom. Copy the style sheet code to your clipboard (there's a link on the new window to do that for you). This then needs to be added to your blog's template html. As an example, if you're using the latest Blogger interface, you can access this via the Design - Edit HTML option. I suggest pasting the code near the top, just after the line where you see your title section, which should begin with < title >. Then click Save Template. This enables your blog for Aquarium publishing. 3. Publish a game in a blog post (with playable board and game score with annotations). On the Publish tab select the Web Export - HTML for Blog option. This brings up a new window with the HTML code, copy this to your clipboard. In a new blog post, when you are ready to paste the game in, make sure you are looking at the HTML rather than normal text (Blogger has "Compose" and "HTML" buttons, choose the latter). Paste in the HTML code where you want the board and attached game score/annotations to appear. To avoid having a lot of white space above your chessboard, under Post settings make sure the option is chosen to have line breaks use the < br > tag. There's also a ChessCafe article that covers most (but not all) of the above. Observations: practically speaking, it's better to have any other text you want in the post above the published game. Also, if you go back in to edit your post after publication, the game board may not function afterwards and you will then need to delete and re-paste the game HTML code. Finally, I've noticed that no other blog posts below an Aquarium game will show up on my main blog page. This isn't a big deal for me, since I prefer only having 1-2 posts on the main blog. Not sure if other users have been affected by this issue, but I spent a lot of time Googling in order to track down what was necessary to get the publishing process to work properly and don't recall seeing another mention of it. This month's edition of the Chess Carnival is now up at the Hebden Bridge Chess Club site. Well worth checking out, among other things the host has an excellent post on his experience at the British Chess Championships. This training game was played against the "Max" Chessmaster personality (a high Class C on my system). "Max" varied from the main lines immediately with 1..d6, which is however a good and flexible move. I chose to head for a standard position featuring a fianchettoed light-squared bishop and queenside expansion plans. The benefit of the move-order chosen by Black, however, was that it allowed him to exchange off the bishop early. This was not particularly upsetting to White, although my openings database showed an improved line starting with 6. Rb1 that keeps the bishop on the board. White had several major decision points in this game which had critical effects on the game. The first was on move 10, where I chose to go for a somewhat more unbalanced central position with the idea of being able to then undermine Black on the e-file. Black's decision to castle queenside on move 11 greatly simplified things strategically for me, as my planned pawn pushes would now threaten his king position and not just a gain in space. Black struck back in the center, however, demonstrating that was the correct reaction to a flank attack. Better defending on move 14 would then have given Black an equal game. I again decided to pursue the more active, attacking path on move 15, passing up winning a pawn in favor of deploying the queen and increasing the pressure on Black's king position. Black passed up shutting out White's dark-squared bishop with ..d4 and paid the price, as this time I calculated the correct follow-up on move 18 and attacked down the half-open b-file. Despite some missed mating ideas for White, Black was nevertheless on the ropes and then allowed a nice tactical finish to any hopes of resistance. The analysis process itself was also rather interesting. I again had both Rybka and Fritz perform a complete game analysis and then compared the results while I stepped through it myself. There was general agreement on the key points, although some interesting differences in the move recommendations and timing of things such as Black's potential counterplay with an ..h5 push. Some other observations on the strengths and weaknesses of the computer tools will be made in a later post. 7...Bxg2 8.Kxg2 Nge7 9.Rb1 +0.15 First move out of the database. Interestingly, Aquarium's hard-coded openings reference gives this move a +0.44 evaluation, but the Rybka engine gave a lesser result and preferred Nd5. 9...Nd4?! +0.56 This loses time for Black. 10.Re1 +0.33 first major decision point. I had also considered the alternative e3, which Rybka prefers slightly and in hindsight is probably preferable. 14.Nb5 -0.15 exchanging on d5 would simply bring Black's pieces to life, so the pawn fork needs to be avoided. 15.Qa4 -0.07 The second major decision point for White. I chose this in order to maintain pressure, instead of the alternative, which wins a pawn. 16.Na3 Be7? +2.38 17.b5 axb5 +3.75 18.Rxb5 Third major decision for White and the one requiring the most calculation. I saw the bishop sacrifice idea on b6 and considered the Rxb7 idea as well, although did not see that it would lead to mate. 18...Bxa3?